“With the capability to transport both our frozen and refrigerated meat, IFCO RPCs in the meat lift lock series can hold up to one liter of water,” says Ramos. 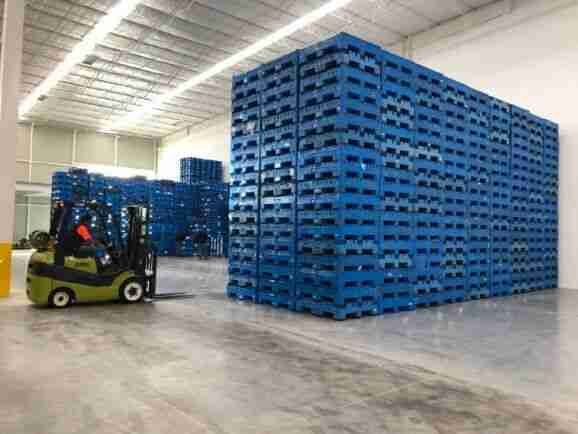 Through durable construction that is unaffected by moisture, pallet stability is unaffected by refrigerated environments, and product protection is ensured. IFCO RPCs also help to maintain proper temperatures in the cold chain through providing optimal ventilation in every part of the process, from the food packing to the final point of sale. Read more. Querétaro, MEX – March 21, 2019 – CHEP Automotive & Industrial Solutions is pleased to announce the grand opening of its new container management service center in Querétaro, Mexico. The new facility’s strategic location in central Mexico, within close proximity of many automotive and industrial suppliers, strengthens CHEP’s ability to support container movements in and out of the region. Greater scale and density of the CHEP network allows faster supply chain movements and more responsiveness to customers’ changing needs. Long distance shipments of components between the United States and Mexico are characteristic of the North American automotive industry. With the CHEP program, suppliers can “ship it and forget it” rather than managing the return transport of empty containers across long distances. 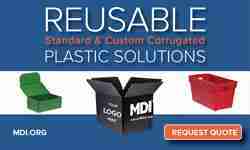 Additionally, the sustainable nature of the program enables suppliers to significantly reduce costs and realize environmental benefits when converting their privately owned or expendable packaging to CHEP pooled containers. Leading temperature controlled packaging provider Peli BioThermal was announced as a winner at an annual awards ceremony which recognises the excellence of suppliers serving the biologics industry. 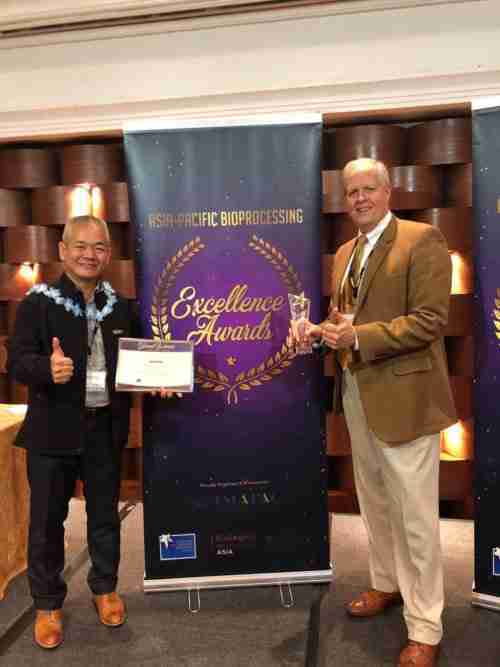 Peli BioThermal won in the Passive Packaging award category of the Asia-Pacific Bioprocessing Excellence Awards as the company continues to expand its presence in Asia. As the company continues to increase its infrastructure and operations in Asia, its key role as a supplier of high performing passive packaging to the biologics industry in the region was rewarded with this coveted award. The company was presented with the award following an in-depth judging process whereby more than 30,000 professionals from the biologics industry were invited to vote for Peli BioThermal and fellow finalists. 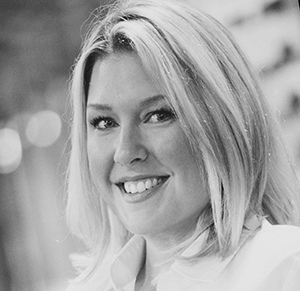 Tampa, Florida – Hillary Femal, former Vice President of Global Marketing for IFCO Systems and Vice President of Sales and Marketing for 48forty Solutions, today announced the launch of Freshwater Marketing, LLC, the outsourced marketing department for mid-sized companies. Through this new venture, Ms. Femal will offer comprehensive marketing support backed by executive-level marketing horsepower. Services include marketing strategy and planning, branding, market research, event management, content creation, and all internal and external marketing communications. “Throughout my career, I’ve seen so many mid-sized companies without a cohesive, results-driven marketing program,” said Ms. Femal “In some cases, the business grew so quickly there didn’t seem to be any time to focus on marketing. In others, companies were stuck doing the same things year after year without any real strategy, unsure what’s working and what isn’t.” These are just the kind of companies Freshwater Marketing was created to help. For more information on Freshwater Marketing, visit www.freshwater-marketing.com. Here’s a great idea about how large companies could help support investment in reusable packaging. AB Electrolux has introduced a green bond framework with an intention to raise funds earmarked for investments contributing to reduced environmental impacts from the company’s products and operations. The initiative is designed to enable debt market investors to allocate funds specifically to industrial projects with a positive climate impact or other environmental benefits. The proceeds will be used to finance or refinance projects covered by the environmental areas of Electrolux sustainability framework For the Better. This may include investments in R&D to improve the energy or water efficiency of appliances, development of recycled materials, elimination of refrigerants with high greenhouse warming potential, improved energy or water efficiency at Electrolux factories and increased use of renewable energy, for example through the installation of solar panels. In 2018 Electrolux set science-based climate targets, aiming to reduce greenhouse gas emissions from operations by 80% and emissions from products by 25% by 2025. The company has been independently recognized for its efforts. In 2019, it was for the third year in a row included on the CDP Climate Change A List. Electrolux has also for 12 consecutive years been named Industry Leader in the Household Durables category in the Dow Jones Sustainability World Index (DJSI World). The new framework has been developed together with SEB in alignment with the Green Bond Principles 2018, with projects eligible for funding defined to support the UN’s Sustainable Development Goals and the Paris Climate Agreement. The framework has been independently evaluated by the Center for International Climate Research (CICERO). Read more here. To enable investors and other stakeholders to follow the development of Electrolux green bond issuance and to get insight into how the green bond proceeds are used, Electrolux will provide an annual Green Bond Impact Report. SAS Cargo, Scandinavia’s leading carrier, and Unilode Aviation Solutions, the leading global provider of outsourced Unit Load Device (ULD) management and repair solutions, will further deepen their collaboration with Unilode digitising SAS Cargo’s container fleet starting Q2 2019. This agreement forms part of Unilode’s digital transformation programme, which is based on BLE5 technology and a global reader infrastructure, and enables ULD tracking and the measurement of temperature, humidity, light and shock in air freight shipments, among other benefits. This development is another major milestone in a long-standing collaboration, which started in 2011 with the conversion of SAS Cargo’s ULD fleet to lightweight containers, and enables SAS Cargo to take the next step in fulfilling its digital ambitions. LEATHERHEAD, Surrey, UK and AKRON, Ohio, USA –4 March 2019 – It is forecast that in 2023 the recycled content of paperboard, metal, and glass will remain about the same as currently since these are already mature and saturated recycling industries. The overall percentage of recycled content in plastic packaging is bound to increase as retail chains and brands commit to including more recycled content in their packs. Furthermore, governments in a number of countries have set stringent targets for higher recycled content to be incorporated into packaging over the five years to 2023, especially for plastics.The Future of Recycled Packaging Markets to 2023’ values the Global recycled packaging materials used for packaging at $136.5 billion in 2018 and are forecast to grow by 5.7% annually during 2018–23 to $180.1 billion global recycled packaging materials consumption used for packaging amounted to 188.7 million tonnes in 2018 and is forecast to grow 4.7% annually during the same period to 237.2 million tonnes. Ensuring that packaging contains recycled materials. The European Union has also initiated a series of legislative packages and regulations that support the drive for greater use of recycled materials in packaging. Consumers are increasingly aware of sustainability practices that focus on end-of-life recycling, waste management issues, and beginning-of-life choices. To that end in response to growing consumer and regulatory concern, brand owners and converters are starting to pay more attention to packaging that is designed to assist recycling. 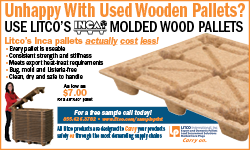 Nefab Americas has acquired Pacific Coast Packaging, a company which specializes in the design and manufacturing of custom wood, foam and corrugated packaging products at its location in Anaheim, California. The acquisition will serve to both strengthen our product offering as well as boost our presence in the Southern California market. Fillbee, a ‘zero waste’ returnable beverage pack for 4 or 6 bottles, was designed to eliminate wrapping packaging for beverages, promote the reuse of bottles and improve the collection rate of cans. The retail-ready packaging encourages ease of reuse for consumers, as Fillbee is easy to stack, store, take home and return the bottles to the store. The sustainable durable material of the pack lasts for years and can be fully recycled after its useful long life. 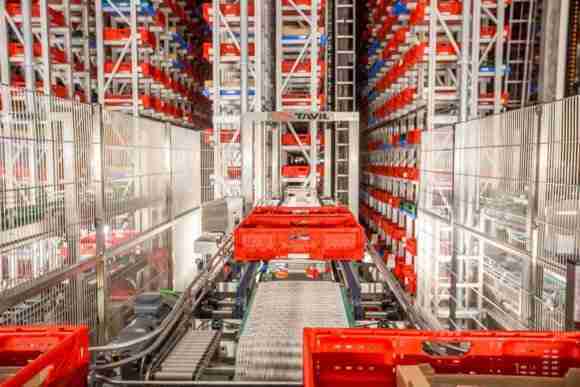 The packaging is made of one single material, so the baskets and the labels can be recycled together without the need of sorting. Thanks to the protective packaging, refillable bottles can last up to 50 return trips. SPAR Handels AG Switzerland is a leading retailer with independently owned and operated food retail stores and gas stations. SPAR started a project in 2016 to rethink their transport management with s foldable roll container. Read more. 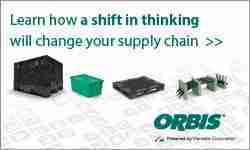 Scott Krebs (pictured, inset), industrial marketing manager of Orbis, explains to Automotive Logistics Magazine why the company is collaborating with OEMs and tier suppliers to push more standardization. What does Orbis see as the main problem in providing accurate data on where a container is, whether empty or full, and what is it doing to solve some of these problems for its automotive customers? In the automotive industry, one of the biggest obstacles is standardisation. Toyota puts identification on its packaging [that is] different to what Ford does, and different to what GM does, for example, [but] everybody wants supply chain visibility and everyone has the same supplier. So the supplier of parts to GM is probably also a supplier to Mercedes and BMW and FCA. The supply chain for the tier suppliers is similar, but each OEM has their own packaging and logistics requirements. Read more. 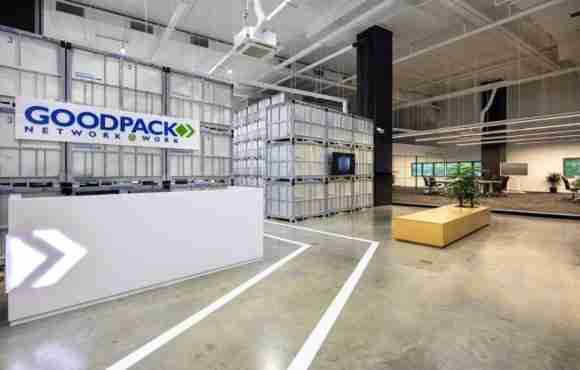 February 13, 2019 SINGAPORE–Goodpack Limited, a worldwide leader in the provision of supply chain solutions, has announced the official opening of its Global Technology Laboratories at its newly relocated world headquarters in Singapore’s East Changi District Hub. The Global Labs enable Goodpack to support its customers with a wider array of supply chain solutions and products that are grounded in research and engineering, while the company’s relocation strategically positions Goodpack within minutes of its key partner base as well as Changi Airport. Goodpack Limited is a world leader in the provision of supply chain solutions delivered through a network of strategically located global deports and fleets of intelligent, returnable containers. Goodpack is an innovator in developing safe and cost-efficient transportation and storage solutions for challenging payloads, including natural rubber, food and liquids and specialty industrial goods such as tires and automotive parts. The company has team members, operations and depots around the world dedicated to simplifying our customers’ supply chain processes. The Company is headquartered in Singapore with regional offices in 22 countries and operational depots in 31 countries covering six continents. Peli BioThermal has opened its new drop point in Jeddah, Saudi Arabia, as the company continues to expand its presence in the Middle East. As Peli BioThermal increases its infrastructure and operations in the Middle East, the new drop point is the latest location launched which brings convenient, flexible shipping options to the region renowned for its temperature challenges. This new facility puts Peli BioThermal on track to realize its plan to exceed 100 network stations and drop points for its rental program in early 2019. With healthcare expenditure in the Gulf Cooperation Council (GCC) projected to reach US$104.6 billion by 2022, according to a 2018 GCC Healthcare Industry Report by Alpen Capital, the region is a significant key growth area for Peli BioThermal. The Jeddah facility furthers the expansion of Peli BioThermal’s growing Crēdo™ on Demand rental program by providing additional drop points of return for reusable shipping assets providing protection of life sciences and pharmaceutical payloads transported globally. The Jeddah facility is focused on receipt of Peli BioThermal’s rented shippers through their Crēdo on Demand program, which provides a high performance, flexible rental option for temperature controlled containers such as Crēdo Cargo, Crēdo™ Xtreme, and Crēdo™ Cube. The Crēdo on Demand rental program allows organizations to choose the shipper application that best fits their company’s requirements, logistics profile, and budget. To learn more about the Crēdo on Demand global network of drop points, service centres and network stations, visit http://pelibiothermal.com. David Lam, the founder of Comopack, which provides returnable packaging services, says his firm has considered the industry’s needs in structuring its KLT containers with dunnage matching and delivery systems to make it as flexible and cost-efficient as possible, at a global level. Read more. DS Smith Plastics, Extruded Products business segment is expanding their offer of AkyPak Reusable Bulk Containers to include boxes and storage bins. 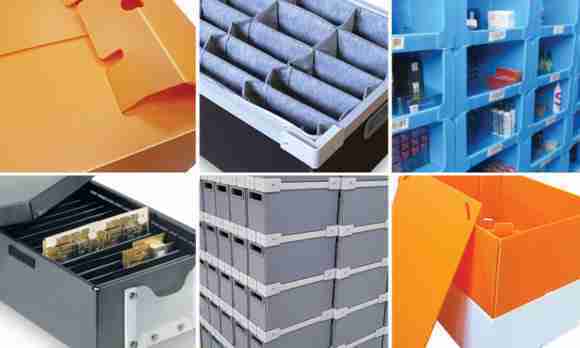 Made of extruded polypropylene, the new line of boxes and storage bins share the same properties and benefits of AkyPak Bulk Containers such as lightweight, durable, water resistant, reusable and recyclable. Additionally, AkyPak Boxes and Storage Bins are designed to be stackable, optimizing load sizes, material handling and warehouse logistics. To meet the demands of a wide variety of markets, the new line of AkyPak polypropylene boxes and storage bins are fully customizable and its smooth surface allows for effective branding. DS Smith Plastics’ AkyPak line of reusable packaging will now consist of returnable bulk containers, container sleeves, boxes and storage bins. All AkyPak products have long life-cycles and are fully recyclable at the end of their useful life.